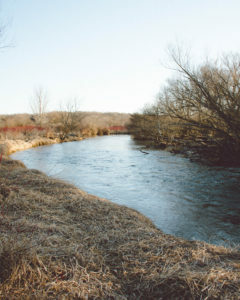 Turtle Creek is a 288 square mile watershed running through Southern Wisconsin. 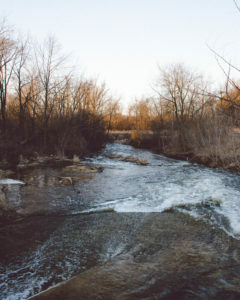 It flows through Western Walworth county as well as Rock county. 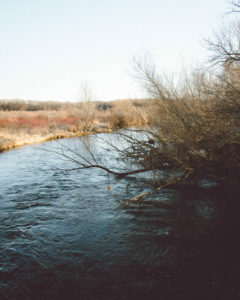 Just above the Illinois border, Turtle Creek flows into the east side of the city of Beloit to join the Rock River. 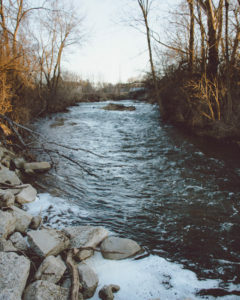 The land use is primarily cash crop and dairy culture throughout the creek main stream and main water tributaries. 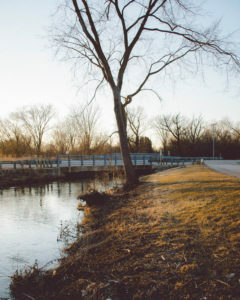 Crop land in the headwater areas and urban land use near Beloit contribute the two highest erosion rates in the watershed. An additional problem seem is streambank erosion. 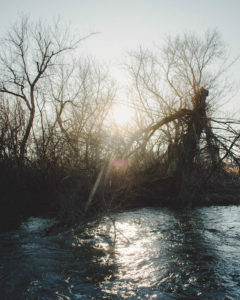 The sunsetting behind the tree line and Turtle Creek. 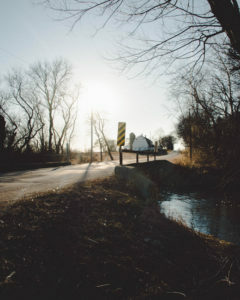 A classic rural Wisconsin scene. 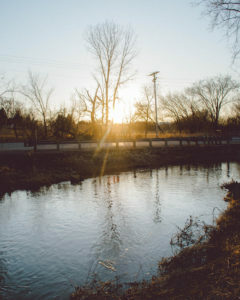 Golden hour next to the Creek. Water rushing past a dam on the creek. 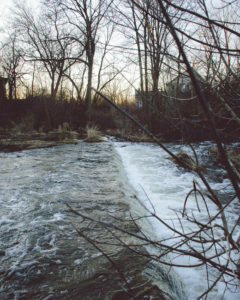 Flowing water in the creek. 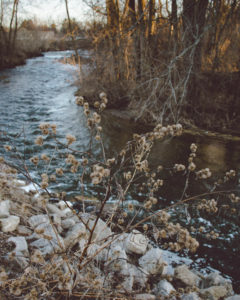 Turtle Creek runs along a couple different parks. 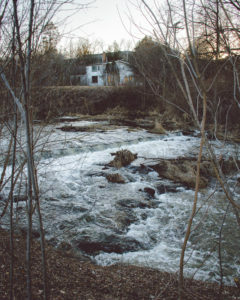 A calm scene of abandon buildings and Turtle Creek. A glorious sunset next to Turtle Creek. All of the plant life remains dead in March. A final roadside shot of the river.